Putting their best foot forward. Known for playing lively renditions of songs such as Humble, Gold Digger, and Turn Down for What, the marching band is renowned Garfield institution. The band’s spirit and contemporary songs help to bring the mood up at assemblies, basketball games, football games and more. However, due to Tony Sodano, the previous band teacher, leaving at the end of last year, they were absent from both the Homecoming assembly and game this year. Because of Sodano’s unexpected departure, the district wasn’t able to secure a new band teacher, until three weeks into the school year. However, when Sodano left, he also took almost all of the songs that he had arranged with him, leaving the marching band missing not only a teacher but also most of their songs. Sodano, who taught at Garfield for ten years, had helped to arrange some of the band’s more well known songs, such as Humble and Turn Down for What. Junior Nick Bukovec, a member of drumline, believes this was one of his strengths. “It was one of the things [Sodano] was really good at. We could tell him what was popular, like contemporary music, and he would write arrangements for that, which was really nice,” Bukovec said. Sodano’s departure with his music left the marching band with only two songs: the fight song, and “I’m So Glad”. If they wanted to play any of the old popular songs that were arranged by Mr. Sodano, they would have to buy them back. “Because Sodano took all his music when he left and we’re not allowed to play any of the stuff for basketball season or football season that people love, we have to come up with new songs to play,” junior Payton Reid, a flute player, said. New material isn’t the only change happening in the band this year. Under the leadership of Tomisha Price-Brock, the band has started to actually march again. First practicing on the field a few weeks ago, they then marched at halftime at a football game. “[Price-Brock] comes from a position that is different than the one that we’re used to. It’s more of a Southern style of marching band and drumline, and with that comes a focus on different aspects.” Bukovec said. The transition to marching has required a lot of work from the band students. 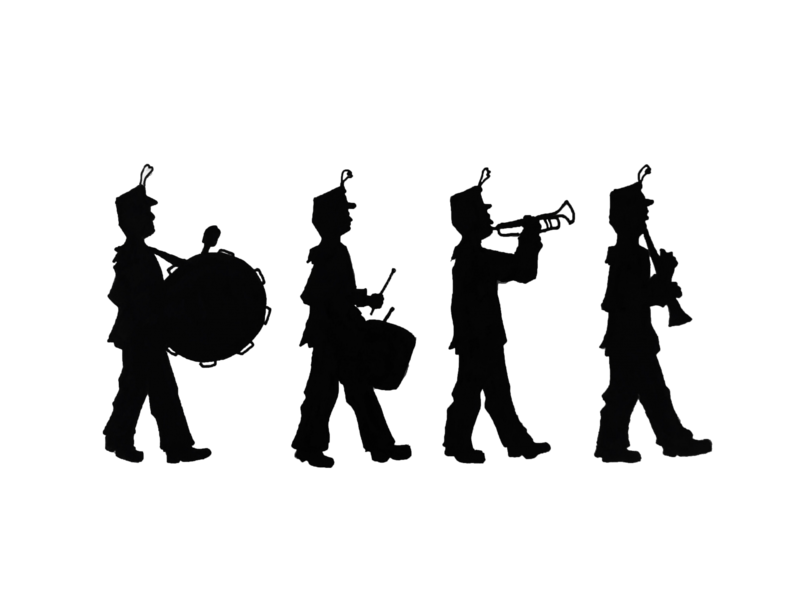 “[Marching] is definitely different, because you have to stay moving at all times and your feet have to keep beat, and that’s really hard to do and play and move at the same time. It’s pretty challenging.” Reid said. Despite the work, however, there are clear advantages to marching. “In terms of drumline performance, it is better for us to be mobile, because before the drumline really just performed on stands. While that was better for our backs, we really got docked in terms of, like, performance and mobility points. It is better for a better performance.” Bukovec said. 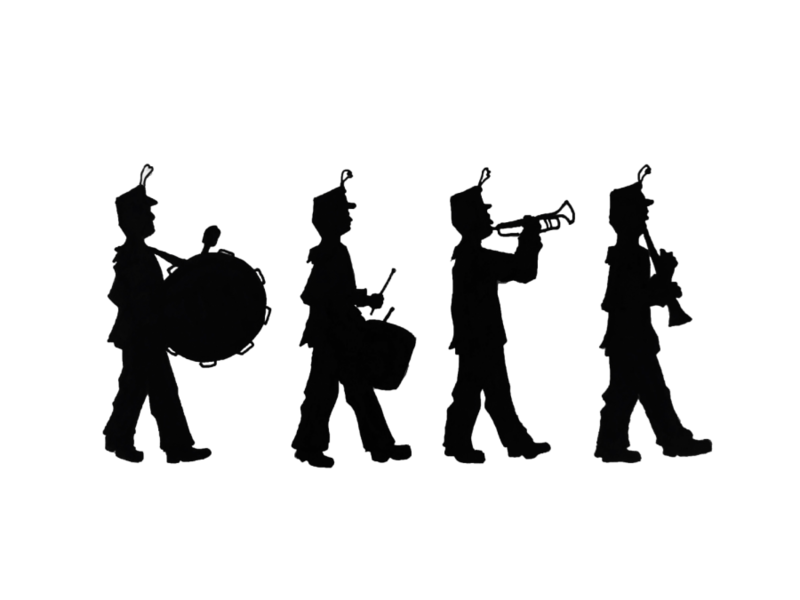 While the marching band is undergoing a transition, their mability, as well as their performances, are as strong as ever. With the development of new songs, like Living on a Prayer, and possibly an A$AP Rocky song, along with the other changes, Bukovec is looking forward to upcoming performances. “Basketball season is going to be fun. I know that the new director is really working on not just the music, but rather the aggressiveness in playing of our band, so hopefully we should be up into top shape for basketball season.” he said.